Dermal fillers are one of the most popular treatments that are used to combat the signs of aging. As we get older, loss of volume is probably one of the biggest factors that ages our face. In addition, the reduction in the production of collagen means that skin loses its natural elasticity, which can contribute to an older appearance. Advancement with new technologies allows Dr Nasser to address these fine lines and wrinkles without having to put patients under the knife. 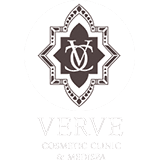 Verve Cosmetic Clinic offers dermal fillers as a choice of non-invasive treatment for lines and wrinkles. Dermal fillers use a tissue friendly gel that closely resembles a naturally occurring material in the body. They have the effect of plumping up the skin to a youthful volume, making the face appear fuller and smoother; free from fine lines and wrinkles. This can also reduce the risk of an allergic reaction. This treatment can be used to rejuvenate nasolabial folds, jowls, crow’s feet, surprise and frown lines. The results can last from nine months to two years, with top up treatments a possibility. Our highly trained staff will tell you what you should expect from your initial treatment or further appointments at your consultation. What Happens during Dermal Fillers Treatment at Verve Cosmetic Sydney clinic? Dermal fillers are a non-invasive procedure that is fast and simple for the patient. A series of injections with a fine needle are used to restore volume to the area of the face that requires it. The gel is injected into the mid to deep dermis (below the outer layer of skin) for the correction of lines and wrinkles. The injection process takes only about 15 minutes to complete, which means that it does not interfere with your schedule. Dermal filler injections are well tolerated by patients. But, some discomfort may be felt if you do not like needles. Yet, the smooth consistency of this gel filler and the added local anaesthetic mean that dermal fillers are easier to inject and allow the least discomfort than other options. Most side effects of dermal fillers are mild to moderate in nature and their duration is short, lasting less than seven days. The most common side effects that you may experience include redness at the injection site, slight swelling and discolouration around the area of the face receiving treatment. But, these side effects resolve on their own without any complications and are normally minor. Is there any Downtime Associated with Dermal Fillers? There is no downtime associated with dermal fillers. This is often nicknamed a ‘lunch time treatment’ since patients do not have to take any time off work to have the procedure done and there are minimal side effects. This means that you can leave the clinic straight away after having dermal fillers and return to your normal routine without any restrictions on exercise. Who are Suitable Candidates for Dermal Fillers? If you are experienced lines and wrinkles on your face that you would like to minimise, as well as restore youthful volume to the cheeks, dermal fillers can be a treatment option for you. These can be moderate to severe folds and wrinkles, which do not extend enough to warrant a face lift and surgical procedure. To find out if you are a suitable candidate for dermal fillers, you can attend a consultation with a professional who will go over your medical history. To learn more about your options, you can contact us today for a consultation with Dr Dalia Nasser, our leading female cosmetic practitioner in Sydney. What does the gel filler do? It is a naturally occurring sugar that has been synthetically formulated in a way that prevents it from being degraded by the body quickly. This gel temporarily adds volume to facial tissue and restores a smoother appearance to the face. What is it indicated for? This gel is indicated for injection into the mid to deep dermis (below the outer layer of skin) for the correction of moderate to severe facial wrinkles and folds, such as nasolabial folds, jowls and frown lines. Why does the gel filler come in three formulations? This injectable gel is available in three formulations to allow us to tailor treatment to your unique needs. The softer formula provides versatility in contouring and volumizing facial wrinkles and folds. The more firm product is a more robust formulation for volumizing and correcting deeper folds and wrinkles and the even firmer product of the three allows for further volumizing with the product lasting up to 2 years. What makes this product different from other dermal fillers? The unique manufacturing process provides a high concentration of cross-linked gel filler for long-lasting results. It also works to create a smooth consistency gel that flows easily into the skin and provides a smooth, natural look and feel. Other gel dermal fillers currently on the market are made of granular consistency gels leading to more lumpiness and swelling. How is the injectable gel different from muscle relaxants? The injectable gel is a “next-generation” gel dermal filler that provides volume and is used to treat wrinkles and folds resulting from a loss of volume beneath the surface of the skin such as perioral lines and nasolabial folds. It restores your skin’s volume for a smooth, natural look and feel. The muscle relaxant is not a filler. It is a protein that relaxes muscle activity and is used to treat moderate to severe expression lines like the lines caused by the frown muscles between the eyebrows (the glabellar area). Gel filler is a naturally occurring substance found in our skin that helps to hydrate and add volume. In addition to its cosmetic use, gel filler has also been used for more than 20 years for injection into arthritic joints to aid movement as well as for eye surgeries and wound repair. What is cross-linked gel filler? “Uncross-linked” gel filler in its natural form is in a liquid state. “Cross-linking” is the process through which gel filler is made into a gel product that can be injected into the skin for long-lasting results. How is the injectable gel used in treatment? The injectable gel is injected into the skin using a fine needle to temporarily fill in and augment the treatment area and smooth moderate to severe facial wrinkles and folds such as “smile lines” or nasolabial folds and “marionette lines”. It temporarily adds volume to the skin and will give the appearance of a smoother surface. What will treatment with injectable gel accomplish? The injectable gel will help to smooth moderate to severe facial wrinkles and folds. Most patients need one treatment to achieve optimal wrinkle smoothing. And one treatment could smooth your lines and wrinkles for up to 1 year. Our highly trained staff will tell you what you should expect from your initial treatment and when they would recommend rescheduling another appointment. Is treatment with the injectable gel painful? Injections may cause some discomfort during and after the injection. However, the smooth consistency of this gel filler and the added local anaesthetic to the gel allows us to administer it easily and smoothly with the least discomfort. The injection process takes only about 15 minutes. You’ll also need to allow time for a consult prior to treatment. Depending which formulation is used and the area treated, the results will last from 9 months to 2 years. However, top ups might be needed before that for some patients who need that extra volume. What are the possible side effects of this injectable gel? Most side effects are mild or moderate in nature, and their duration is short lasting (7 days or less). The most common side effects include, but are not limited to, temporary injections site reactions such as redness, pain/tenderness, firmness, swelling, lumps/bumps, bruising, itching, and discoloration. As with all skin injection procedures there is a risk of infection but this is not common. Prices start from $590 – your doctor will advise on suitability and cost. Packages to suit all of your concerns are available from $999.